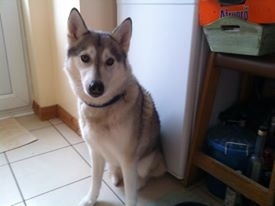 Skye is a fairly small husky, a lovely girl who is used to living with other dogs. Skye has general obedience and is crate trained. Skye loves toys and would possibly suit someone as their first husky. Skye could live with dog savvy children. The adoption donation for Skye is £200. If you could offer Skye her forever home please get in touch.